Welcome to our frequently asked questions! Below you will find some general help topics and explanations for all the different steps and processes on twago. twago is the leading platform for online work in Europe. On twago, individuals or companies of all sizes find the experts they need for projects, and freelancers and agencies find work and grow their businesses. twago stands for “Teamwork Across Global Offices” and is at the forefront of the modern workplace, encouraging individuals and companies to go online to find experts and collaborate on projects. 2. Who can use twago? twago is used by a variety of different individuals and businesses. From small and medium-sized enterprises, large corporations and startups to freelancers, self-employed persons and agencies, twago can help you get your next project done or find new clients. 3. Who can register on twago? FOR CLIENTS: Individuals as well as companies or associations can register as clients at twago. FOR CONTRACTORS: If you choose to register and do business through twago, we assume that you act as an independent professional or business capacity when concluding legal transactions. Keep in mind that working as a contractor (e.g. via twago) is considered a business transaction and must follow the tax-regulations in your country of residence. Therefore, please ensure that you are clear on the rules in your area and confirm requirements with your local legal and fiscal bodies. Take a look at our Terms of Service for additional info. 4. For businesses, what are the advantages of using twago? When looking for experts, twago is the best place to come to find the talent you need to complete a project, no matter the size. Using twago will save you time and money and bring transparency to the process of hiring freelancers. You can easily find the right experts for your project by either inviting freelancers or agencies to bid on your project, or by making it public and allowing any freelancer or agency to submit a quote. twago gives you an endless amount of flexibility concerning scheduling, deadlines, and the amount of work you assign to whom and when. Furthermore, twago's safePay escrow service keeps your money safe while the project is being completed, so you know that you will only pay for a finished project that meets your standards. 5. For freelancers and agencies, what are the advantages of using twago? Using twago to find projects is a great way to increase your market reach and acquire new customers. By building a trustworthy online reputation on twago, you can build up a customer base around the world and ensure a steady stream of work. More importantly, you choose when and how often you work on projects that are directly in line with the services you offer. To make sure that you're compensated for your work, twago has an escrow service called safePay in which clients deposit funds before the completion of the project; that way, you know the client has the money to pay you. 6. How can I give feedback to twago? All feedback is welcome so that we can constantly improve and grow to better serve our users. Click on the link "Give Feedback" on our homepage and let us know your thoughts! 7. Which clients work with twago and how reliable are they? From small and medium-sized enterprises to large corporations, many different types of businesses use twago to find help with specific projects both small and large. To ensure that you work with a reliable client, it is important that you gather detailed information about the client before beginning to work on a project. Please read all the evaluations given by past contractors and try to contact the potential client if you have questions. Also, it is important to leave feedback about the client after the project is finished to help other contractors in the future. 8. Is this a typical job search website? twago is not a typical job search website because jobs found on the platform are generally limited in scope and duration and do not involve a traditional employer/employee relationship. Individuals or companies who have projects can easily find the help they need without having to hire additional employees or incurring high costs. Jobs can last for a few days or several months, depending on requirements of the client and the project. 9. How safe is twago? 10. How does twago protect intellectual property? We believe the protection of your intellectual property is very important. However, please keep in mind that the documents you upload as an attachment to your project description can be viewed by users of twago. If you would like to restrict who can see your project, we recommend a non-disclosure agreement (NDA). The NDA guarantees that only contractors you approve have access to your documents. Should you find a project on our website that infringes on your intellectual property rights (such as copyright, trademark, patent, utility model or design rights), please let us know by sending an e-mail to violation@twago.com. 1. How do I find a contractor? Finding a contractor on twago is really easy. Simply post a project describing your needs, then wait for the contractors' quotes to come in and choose the contractor that you prefer. The best way to choose a contractor is to thoroughly examine all the information he or she has provided. This includes, but is not limited to, the quote you received from the contractor, portfolio work, feedback from past clients, their twago profile and their twago score. To read more, check out articles here and here. 2. How good are the contractors on twago? It is important to carefully review each contractor or agency for your project. You can do this by checking their twago score, feedback from past clients, and looking at their portfolio. For more information, we have articles on our blog to help you choose the best contractor for your project: click here to read more. It is also helpful for you to give feedback about contractors after your project is complete. This way you can help future clients to evaluate contractors, as feedback is a very important part of a contractor's profile. 3. Are projects visible outside of twago? You are able to decide whether you want your project to be visible outside of twago or not. Those who make their project(s) visible to search engines generally receive more quotes from freelancers or agencies. You can limit the visibility of each project according to the following options: to freelancers/agencies upon invitation only, to all registered users or to everyone on twago and search engines. 4. How do I write a good project description? Good project descriptions give lots of detail. You want to attract the best contractors to your project, which requires being very specific by outlining project requirements, budget, timeline (project milestones) and any other specification, such as design, technical or infrastructure-related requirements. To learn more about how to write a great project description, click here. 5. How can I protect sensitive information about my project? To restrict access to any sensitive documents or information about your project, you can choose to have providers sign a non-disclosure agreement (NDA). If you choose to include this protection, potential contractors must sign the NDA saying that they will not disclose any information about the project. The process to use an NDA to protect a project works as follows. When posting a project on twago, the client opts for NDA protection. Then, the client selects whether the standard twago NDA is sufficient or if an additional NDA should be uploaded (must be in pdf format). It is also possible to customize the standard twago NDA to suit your needs. Then, the client provides a brief description of the project, which is visible to all users on the platform. The contractor then signs the NDA to have access to a more detailed description. The signature is given by typing the last name into a text box, which is legally binding. Then the client reviews the signature and gives the contractor access to the project. 6. I do not know how much my project should cost. What should I do? If you are unsure what to charge for your project, you can set an estimated budget. Then, in the project description, you can state that the budget is flexible and open to suggestions by contractors. Please remember, it is extremely important that you provide a fully-detailed project description so that contractors can submit appropriate quotes. 7. How can I change my project description? Once the project is online, it is no longer possible to change the written aspects of the project description. However, clients can add updates in the comments section of the project so that all contractors who are following the project or who have already sent a quote can be notified of the changes. Clients can also continue to upload additional files and images to the project description throughout the duration of the bidding period. 8. As a client, what if I do not accept the final results of the project? It may happen that a contractor implements a project differently than you expected, in spite of what was agreed upon in advance. If you are not satisfied with the results of your project or already have doubts about the work while the project is ongoing, you should talk to the contractor immediately about your dissatisfaction. The contractor has a dual interest in ensuring that you are satisfied: he only receives pay if you are satisfied, and he also relies on your positive feedback to get other jobs on twago. It is very likely that the contractor will be willing to accommodate your requests. If the contractor still does not agree with you, you can cancel the project at any time. The contractor is automatically notified of the termination of the project. To do this, go to your dashboard under "My running projects," then click on the project to open it. On the right side you will see in the list "Terminate project." By clicking on it, you cancel the project. Important: twago is not responsible for cash paid or outstanding debts or claims between you and the contractor in the event the project is terminated. Please clarify directly with the contractor if you have made a partial payment of the project (not through twago safePay). Our tip: Define milestones and check intermediate results to see early on if the project is progressing according to your expectations. If there are problems, you can react quickly and minimize the risk of an unsuccessful project. 9. The contractor I hired finished work on my project. What should I do now to complete this project and end the contract? As the client, you need to mark the project as "finished" in order to rate the service the contractor provided and leave feedback. Furthermore, if you used safePay, the contractor will only receive funds after the project has been marked as "finished." 10. What types of projects can I find on twago? On twago, projects fall into the following categories: Software Development, Design & Media , Marketing, Business Services, Writing and Translation. Furthermore, there are a variety of jobs within each of these categories that are of interest for freelancers and agencies. You can redesign a website, write code for a newsletter, translate a technical text, design a logo, help a company with email marketing and many other tasks. To get a complete overview, check out the projects yourself! 11. How do I find interesting projects on twago? The best way to find projects on twago is to add skills to your profile and begin receiving notifications when projects needing these skills are posted on twago. Another way is to browse the "Find Work" section located at the top of your dashboard. Here you can search for projects and set certain parameters, so only jobs you are qualified for are shown. 12. How do I win projects? The best way to win projects on twago is to have a fully filled out profile, a high twago score, good feedback from past clients, several samples in your portfolio and – most importantly – to write a quote that is specific to the project and very detailed. To learn how to write a winning quote, read here. 13. How do I increase my chances to win a project? twago gives you the opportunity to find customers who work hundreds or thousands of miles away from you. That is why it is critical to your success to submit a well-written project proposal to the potential client and have your profile completely filled out, including portfolio samples, good user feedback and a high twago score. A completely filled out profile is one of the best ways to show transparency and demonstrate your expertise. You can list your skills, state the languages you speak, provide portfolio samples, and import recommendations from LinkedIn. Furthermore, you can ensure great client feedback by successfully completing projects and having those clients write helpful, informative reviews about your work. Lastly, you can greatly improve your chances by having a high twago score. For our Diamond and Gold members, we have designed a special advertising space: our freelancer directory. If you present yourself well in your profile, it is much more likely that you will be contacted by interested clients and asked to create proposals for specific projects. When registering, you can choose between the different twago memberships. If you want to try twago out, you can use the free basic membership. To learn more about our membership models, please check here. 14. What is a non-disclosure agreement (NDA) and how is it used? A non-disclosure agreement (NDA) helps clients protect their projects from being shared without their consent and to restrict uninvolved third-parties from seeing project details. Projects that use a NDA will show the NDA icon. Basic project details are visible to everyone on the platform; however, the complete project description can only be seen after signing the NDA. To do so, contractors have to read and sign the NDA before being allowed to apply to a specific project. Contractors sign by typing their last name into a text box, which is legally binding. The client then decides whether or not to grant access to contractors who have signed the NDA. If access is granted, the contractors are then able to make an offer for the project. 15. What happens when my client is dissatisfied with the project? It may happen that you implement a project differently than what the customer expected. To avoid the risk of litigation, we strongly encourage you to keep in close contact with the customer throughout the duration of the project. It is often the case that many misunderstandings can be easily cleared up through a bit of communication. As a contractor, you have a dual interest in ensuring that your client is satisfied: you are only paid if the client is satisfied with the final outcome, and you rely on positive feedback from your clients to get other jobs on twago. Therefore, it is important that you work with your client to find a solution. In the event that you and your client are completely at odds over the continuation of the project, you or the client are able to cancel the project. To do this, go to your dashboard under "My current projects," then click on the project to open it. On the right side you will see in the list "Cancel project." By clicking on it, you cancel the project. If the client cancels the project, you will be informed by e-mail. twago does not recommend cancelling a project. Important: twago is not responsible for cash paid or outstanding debts or claims between you and the client in the event the project is terminated. Please clarify directly with the client if there are financial matters to be resolved. If you do not use safePay, then twago cannot be held responsible for financial issues if the project is terminated. 16. How can I ensure the successful completion of a project? The successful completion of a project is the responsibility of both the contractor and the client. For contractors, it is important to understand the skills required, your own schedule, and the exact compensation before submitting a project proposal. Also ensure that all relevant contract elements from payment terms to ownership are agreed upon before beginning work on a project. After being awarded a project, it is important to stay in touch with the client, respond promptly to all messages and manage expectations. In case of delays or problems, inform the client early and offer a solution. At the end of the project, make sure to leave feedback about the client for future contractors to reference. For clients, it is important to write a detailed project description that attracts the right type of skilled contractors. Before the project begins, ensure that all relevant contract elements from payment terms to ownership are agreed upon. After awarding the project, go over the details, timeline and direction of the project with the contractor. Then, follow up with your contractor to make sure that deadlines are being met and the project is going according to the pre-arranged plans. When the project is complete, be sure to leave feedback about the contractor to help other clients in the future. When posting a project on twago you can select either the fixed-price or hourly-price option. With an hourly project you can hire freelancers for an hourly fee and be billed on a weekly basis. Hourly projects are ideal for longer-term projects/jobs and allows you the option of getting work delivered on a weekly basis. This also allows you to pay the freelancer each week based on hours they have worked - hours that you will be able to review and approve. The € signs also correspond to how much you are willing to pay per hour for the project. € is a lower rate, €€ is a medium rate and €€€ is higher rate - but of course the hourly rate of the freelancer is negotiable between both parties. The above are non-binding suggestions. You can also select "Not Specified" if you are not sure of the duration and can be modified later. Once you have hired a freelancer then you can set a more concrete project duration. The above are non-binding suggestions just to give freelancers an idea of how much work is entailed each week. If you are not sure, you can select "Not Specified" and decide later. Of course, working hours and weekly limits are negotiable between you and your chosen freelancer - and can be specified and decided on a weekly basis after the contract has started. This is almost the same as fixed-price projects. You will receive bids (offers) from freelancers, along with a cover letter (application) and their suggested hourly rate for the project. The offers you receive are non-binding and you can negotiate the hourly rate before hiring - but once you have hired a freelancer you then enter a binding contract. You will receive a new time sheet every Monday including all reported hours of the previous working week. You receive new time sheets every Monday from the freelancer and you have a deadline of midnight on Friday to review. On Saturday (the following day) you will be billed and invoiced automatically for all hours reported for the previous week. If you wish to dispute the hours reported by the freelancer you must click the "dispute hours" button in the time sheet and contact our support team before the review period deadline of midnight on Friday. All protest requests must be sent to support@twago.com and we will freeze the project until the matter is resolved. Full details can be found in our Terms of Service. If you are protesting a particular time sheet and you have clicked the "dispute hours" button the payment process will be automatically paused until the matter has been resolved. When clients post a project they can select either the fixed-price or hourly-price option. With an hourly project as a freelancer you can be hired for an hourly fee and be paid on a weekly basis. With an hourly project, when you send an offer to the client you will choose your hourly fee instead of sending your fixed-price suggestion. On hourly projects the service fee is paid for by the client. In the project search, all hourly projects are clear labelled with a small click icon and the words "Paid by the Hour". € is a lower rate, €€ is a medium rate and €€€ is higher rate - but of course the hourly rate is negotiable between you and the client. Yes you can. In the project details you can see the "estimated" duration of the project. Some projects will state "Not Specified" if the client is undecided about the duration. When you place your offer, you can state how many hours you are available to work on this project per week. Likewise, the client will also set a maximum limit of hours that can be worked on the project per week. Again, this can be negotiable between you and the client. This is very simple. Inside the project there is a Time Sheet tab that contains a time report that you should fill out each week. Yes. The working week is counted as Monday - Sunday. Your time sheet must be completed and submitted by Sunday at midnight (24:00 CET) - the final day of the working week. After this deadline you will be unable to edit or make any changes to your time report. After you have submitted your time report on a Sunday, the client has 5 days (Monday - Friday) to review your hours. You will be paid for the hours worked the following Saturday. If the client has a dispute with your reported hours, the project will be frozen until the dispute has been resolved. In this instance the payment will be delayed until resolution. 1. What is twago safePay and why should I use it? twago safePay is an escrow service in which funds can be deposited into projects securely. After a client has awarded a project, they are able to deposit the entire cost of the project into the safePay Wallet. This way, the contractor knows that the client has the money and is willing to pay. The money will remain in the safePay Wallet until the project has been successfully completed by the contractor. After the client has approved the final project, the funds will be released to the contractor who can then withdraw them. First and foremost, using twago safePay increases security for both the contractor and the client when collaborating online. Clients know they will never lose a pre-payment or deposit again, and contractors know they will always get paid for their work. Furthermore, safePay is simple, easy and requires minimal planning. For clients, this is particularly beneficial as they no longer have to worry about the preferred payment method of the contractor. The client can simply deposit the funds into the safePay Wallet and then the contractor can withdraw payment as they see fit. To learn more about safePay, click here. 2. How do I pay the contractor? Payments are agreed upon between the contractor and client before the project contract begins. During the selection process, terms of payment (frequency of billing, due dates, etc.) should be discussed. The payment methods a contractor accepts can be seen in their public profile. twago highly recommends using safePay to pay contractors. With safePay, you deposit project funds into a secure twago Wallet (escrow) after the project has been awarded to a contractor. Then, the contractor knows that you are able and willing to pay, but the contractor does not receive the funds until the successful completion of the project, or at a mutually agreed stage of the project lifecycle. We always recommend that clients request an invoice, and then pay according to the method previously agreed upon with the contractor. Generally, most contractors will accept wire transfers. Please check with your bank for any applicable fees, especially for transfers outside of your country. Please note, twago considers all non-safePay payment methods a private agreement between third parties and will not be held responsible for any issues that may result. 3. As a contractor, how and when will I be paid? Payment is specified for each project between you and the client. This is something that should be discussed and agreed upon before work begins on the project. Be sure to keep this in writing. twago safePay (Recommended). The majority of contractors registered on twago use this trusted method. With twago safePay, the client places the money for the project in a protected safePay Wallet after the project has been awarded. Then, you know that the client has the money. However, you will not receive the funds until the project has been successfully completed and approved by the client. Payments can also be made at any stage of the project lifecycle if agreed beforehand with the client. You agree to an independent payment with the client. This means that you send the client an invoice, and they will transfer the money to you, pay by credit card or by PayPal. However, one of the disadvantages of this method is that if a dispute occurs, you have no guarantee that the client will pay or actually has the money. Unfortunately, twago is unable to assist with independent transactions, so we highly recommend using twago safePay, which is fully supported and protected by twago. 4. How can I get my money from my twago safePay account? To withdraw money from your twago safePay account, you can first connect your personal bank account to your twago profile. Then under the "Finances" tab on your dashboard, click on "twago safePay." From there click on “withdraw” and select which account you want to send the money to. twago does not charge any additional fees for the withdrawal, as these are already covered in the twago safePay fees. However, your bank may charge incoming transfer fees, so please check the terms and conditions of your bank. These external fees are out of twago’s control. 5. When using twago safePay, do I get paid even if the client does not mark the project as finished? Both the contractor and the client are able to mark the project as completed. If 30 days have passed since the contractor marked the project as completed and the client has not taken any action, the payment will be automatically released to the contractor's twago safePay account. The client will receive email notifications prior to the expiration of the grace period, reminding him or her to take action. If the client takes action and declines to approve payment to the provider, the funds will be held in the third-party trust account until the issue is resolved. We urge both the client and the provider to find a mutually agreeable solution. As long as there is no agreement, the project will remain in the dispute status and no funds will be released to the provider nor the client. If all possibilities have been exhausted and both parties have still not reached an agreement, contact support@twago.com and we may be able to assist with resolving the issue. 6. Does twago charge tax? 7. Who will issue the project invoice? If and when requested by a client, contractors should issue an invoice - either before or after providing their services. Please remember, the awarded and accepted terms of a project result in a service contract between client and contractor. Therefore, twago cannot issue an invoice for a project on behalf of the contractor. 8. How much does twago cost? FOR CLIENTS: Registration, posting a project and awarding a project are completely free of charge. Clients only need to pay for the work of their contractor. Once project terms have been agreed upon by contractor and client, and the project has started, twago charges a low percentage service fee, according to the type of membership and project budget. Please understand that the service fee refers to twago facilitating the project partnership between contractor and client, therefore it is due directly after the project has been started. A refund is only possible if twago is responsible for a non-successful project outcome. 1. How important is my profile on twago? Your profile is extremely important, as it provides a wealth of information about you as a person, your professional skills, and your ability to work with others. Having a fully filled out profile is extremely important to your credibility and to helping you win projects on twago. 2. What is user verification? What is the advantage of being verified? The verification of your user profile is an optional service that we highly recommend. Many customers are initially wary about spending large sums of money on people they have never met before. This is why twago offers the option for contractors to verify their identity. For contractors this means an edge over competitors because customers evaluate your offer with greater confidence. twago also recommends user verification for clients. By verifying your client profile you create transparency and gain the confidence of highly qualified contractors, attracting more interest to your business projects. You can order the user verification feature right now - just visit your twago profile. 3. What is the twago score? The twago score is a great way for contractors to improve their reputation on twago, which is one of the most important parts of winning projects. It is also a great way for clients to choose the right contractor, which is one of the best approaches to successfully complete projects. Since the beginning, our main focus at twago has been the quality of professional services offered on the platform, the quality of the interaction between clients and contractors, and the quality of the outcome of each collaboration. The twago score gives clients a way to quickly gauge a contractor’s work before looking more in-depth at a contractor's profile, qualifications and samples of past work. 4. How does the twago score work? The twago score is on a scale from 0-10 (ten being the best). This score is created from the combination and interaction of many different variables based on data from the platform. All the variables are grouped into three main categories - Profile, Reputation and Activity. Each of these categories differs in importance over time, in that they are not all equally weighted. Additionally, twago reserves the right to give penalties for inappropriate behavior on the platform. The twago score works in an holistic way, where each variable influences the other; that's why the twago score constantly changes depending on the quality of your activity on the platform. 5. Who can see the twago score? 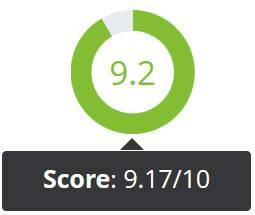 The twago score is part of the contractor's public profile, so everyone is able to see the overall score. However, only the contractor is be able to see the breakdown of the score; in other words, only the contractor knows how many points she or he scored for each of the three categories. This helps the contractor understand which fields can be improved. 6. How can I make my twago score better? If you're a contractor, you can improve your twago score by ensuring you have a fully filled-out profile, plenty of portfolio samples, good client feedback and have not broken any of twago’s terms of service. And the higher the quality of activity you bring to the platform, the higher your twago score will be. This includes winning clients, completing projects, and receiving good feedback. 7. How do I close my account? If you have encountered issues or problems related to our platform, please let us know by emailing support@twago.com, as many of them are easy to fix. To close your account, you need to ensure that all fees and invoices have been paid. You must have a zero balance in order to close your account. Be sure to withdraw all funds and confirm that all projects you were working on are either finished or closed. For clients, you must have all projects completed before closing your account. After your account is closed, you will no longer be able to log in to your twago account or access any part of twago that requires a username and password. Your twago profile will no longer be visible to others; however, removing your public profile from search engines like Yahoo! and Google may take additional time, which we cannot be held responsible for. To close your account, please send an email to our support team (support@twago.com) stating the reason for closing your account. Your account closure request will be reviewed within 48 hours. You will then receive an automated email confirmation once your twago account has been closed. 1. What are “twago Credits”? The new “twago Credits” are a ready to use, practical system that enables contractors to submit quotes on projects. 2. What can I use “twago Credits” for? Currently, “twago Credits” are used by Basic and Freelance contractors to submit quotes on client projects. Four “twago Credits” are required to submit one quote. 3. How many “twago Credits” do I have? 4. How will “twago Credits” affect the terms of my current membership? Current GOLD & DIAMOND Memberships: The original terms of your membership still apply and you continue having an unlimited number of quotes every month - this special feature does not change. You can still submit any kind of quote to any kind of project you are interested in. Current SILVER Membership: You can submit the same number of quotes per month (20), but they will now be measured in 4-“twago Credits” increments (80 “twago Credits”). The pricing and benefits of your contract are still the same. The original terms of your membership will still apply as long as the contract is renewed continually. If your contract expires, is upgraded or is downgraded, the terms may be subject to change. Current BASIC Membership: If you currently have a Basic Membership, you will immediately receive 15 “twago Credits”. There is no expiry date on Basic “twago Credits”. Once you have submitted the maximum number of quotes using the Basic “twago Credits”, you can purchase additional “twago Credits” or upgrade to an Advanced Membership to continue submitting quotes on twago. 5. Can I buy “twago Credits”? Yes - there are three different “twago Credits” Packages available to buy, for either Basic contractors that need new stand-alone “twago Credits”, or for Freelancer members that want additional “twago Credits” on top of their Monthly Membership “twago Credits”. “twago Credits” Packages have no expiry date and you can buy them at any time, as many as you wish. Check it out on our pricing table here. 6. What happens with “twago Credits” I do not use within the month? “twago Credits” Packages: “twago Credits” purchased through the “twago Credits” Packages do not expire, therefore unused “twago Credits” will be available as long as your twago account stays live (with any kind of Membership). Monthly Membership “twago Credits”: The set number of Monthly Membership “twago Credits” you automatically receive through your Freelancer Membership will expire if not used after that month. However, your Monthly Membership “twago Credits” will automatically renew with the quota for the following month, so you can continue submitting quotes. 1. Which membership models does twago offer? As a contractor using twago, you can choose between several membership models. There are five different options that include more and more options. To learn more about our different membership models, please click here. 2. How do I change my membership? To change your membership, log in to your twago profile. Click on / select "profile" from the top menu and select/click on "change membership". Now you can easily upgrade and choose a different membership model that suits your needs. Please remember that downgrading your membership is possible until 4 weeks before the final day of the contract period (otherwise it will be automatically extended). You can set the downgrade at any given stage of your membership to become effective at the end of the running period. © 2019 twago blog. All rights reserved.